Pick up point: Please take your voucher/confirmation to the prepaid ticket office along with photo ID to collect your entrance tickets to London Zoo. Important info: Disabled Access: Wheelchair access is available throughout the park however as the Zoo contains a lot of listed buildings some have minor restrictions.Parking space subject to availability. Only valid in conjunction with a paid for Zoo entry ticket.In order to gain entry you must present a printed copy of your voucher.Last admission is one hour before closing time.Some animal exhibits may close up to 30 minutes before closing time. With over 800 species of animal including arachnids, mammals, birds and reptiles there is no better place in the UK in which to learn about the creatures that share our planet. Housing the largest collection of animals in the UK and offering a variety of experiences including getting up close with some of the less dangerous species adults and children alike will love their time at this fascinating attraction. With so much to see it is well worth setting aside a whole day for exploring and even then you may not have time to see everything. With many hotels nearby Hotel Direct can arrange a break that will make the most of your time allowing you spend the whole day there. Opened to the public in 1847 London Zoo is the oldest scientific zoo in the world and leads the world in conservation and international breeding programmes. It was also the first one to open a separate reptile house and aquarium, and contains many listed structures including the penguin pool and the Round House gorilla enclosure which was the first modernist buildings in Britain. Due to public concerns about animals held in captivity the zoo very nearly closed in 1991 but with a surge in public support it was able to reorganize and carry out much needed renovation work and has enjoyed large visitor numbers ever since. 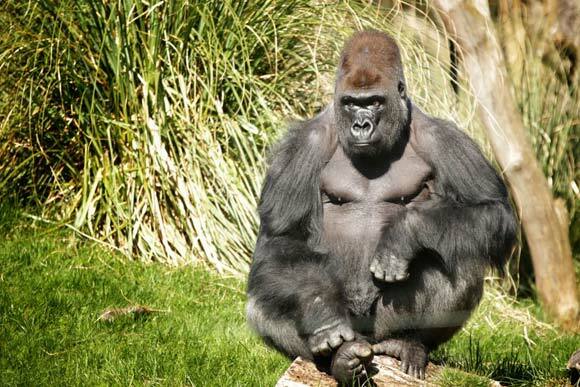 The word gorilla stems from a Greek word meaning tribe of hairy women. A.A Milne wrote the Winnie the Pooh books after visiting the zoo with his son Christopher Robin who was very taken with a black bear called Winnipeg.